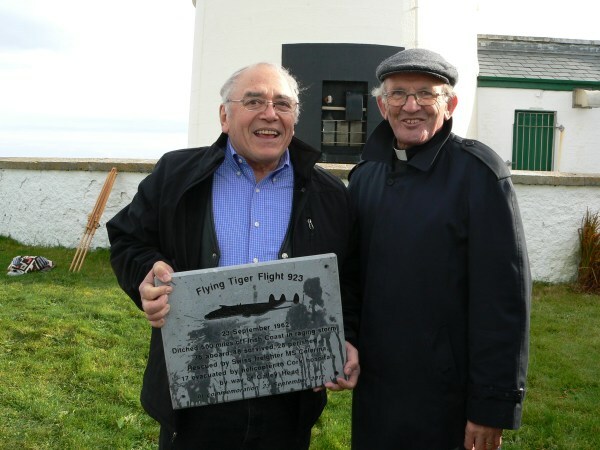 Exactly 50 years after the ditching of Sunday, 23 September 1962, a ceremony was held on the Atlantic coast to dedicate a memorial to those who perished and those who survived, and to all who participated or were otherwise involved in rescue operations surrounding the event. Approximately 80 attended on the grounds of Galley Head Lighthouse. 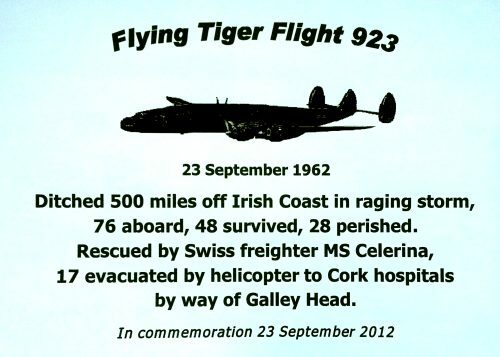 Among those present 50 years earlier were one crash survivor, one member of the Swiss Ship Celerina rescue team, two members of the Cork Airport Emergency rescue team, two fishermen/boatmen who ferried news reporters during operations, and a Shannon Airport radio operator. 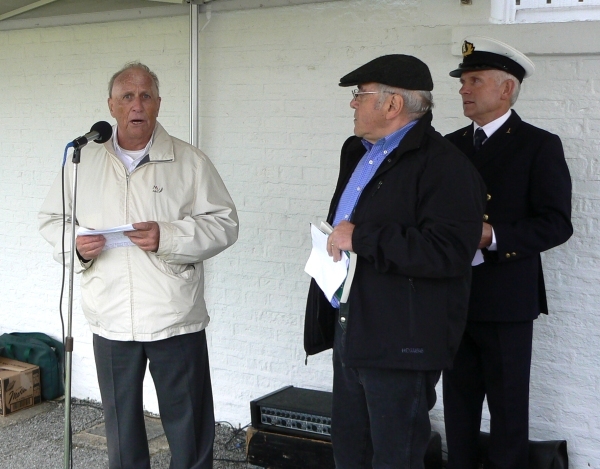 Others attending included Swiss Ambassador Beat Loeliger who spoke of the pride Switzerland takes in the role of the rescue ship Celerina and its crew members. Flags fly high over Galley Head. 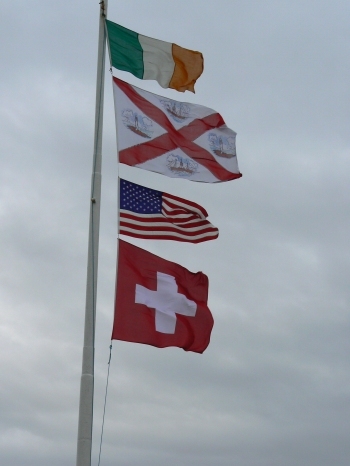 From top: Irish, Irish Lights Authority, United States and Switzerland. 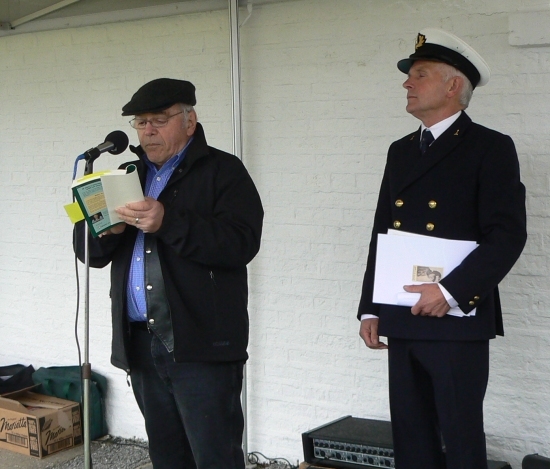 Crash Survivor Fred Caruso (aka O’Caruso) reads “Flight Over Galley Head” from his book, Born Again Irish. Light Keeper Gerry Butler stands by. 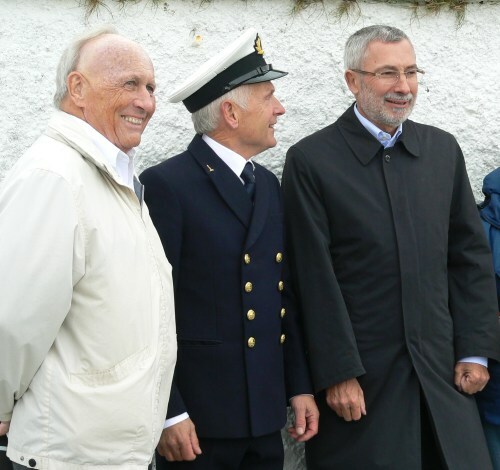 Pierre-Andre Raymond, crewman on Swiss Celerina during rescue, left; Light Keeper Gerry Butler, Galley Head, and Swiss Ambassador to Ireland Beat Loeliger. 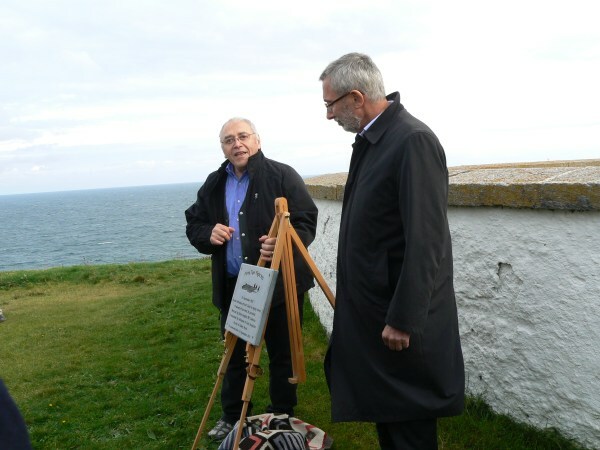 Survivor Fred Caruso unveils memorial plaque with Swiss Ambassador Beat Loeliger. Caruso holds plaque that has just been blessed by Parish Priest. Very touching and a remarkable tribute to those who had survive, great job.